Although you can be be tempted to snack during your study marathons before the exams, it’s best that you take a break and eat somewhere far away from the precious $300 books. The same goes to coffee, soda etc. – it’s not very nice for the next owner to buy a book and see that someone has been using it as a coaster. Stained books are obviously losing buyback value, so there’s that. 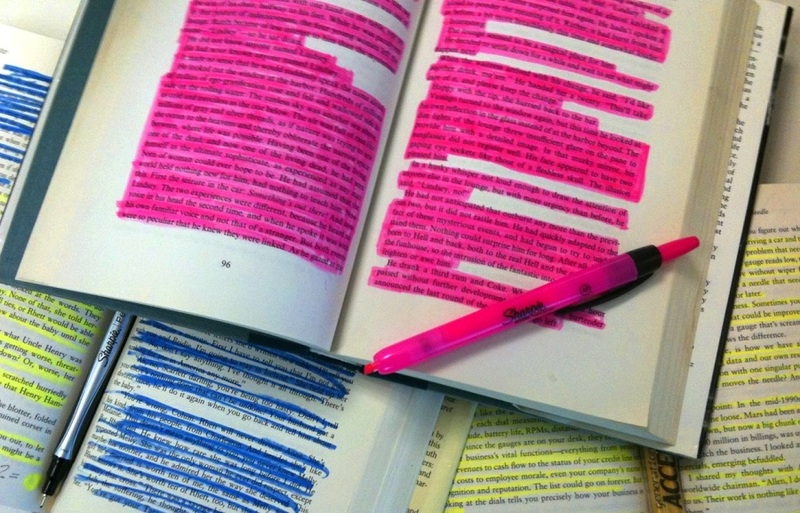 Highlighting is quite useful when you want to emphasize the most important parts of the text to learn. However, you can get carried away, and the pages of your textbooks might end up looking as if someone spilled a bucket of paint all over the text. To escape this kind of situation, you can simply write down the bullet points somewhere else instead of a textbook – some scientists claim that making notes on something helps brain to remember the subject better. In general, taking care of the books and not throwing them around will definitely keep their prices up and allow you to get more than 0.2¢ for a $250 book when you sell it.